Bob Jenkins grew up as a “service kid,” moving from post to post, following his fighter pilot father from Florida to Hawaii, acquiring that worldly-wise attitude common to his tribe (marine brats). Running away from home at sixteen, he wound his way along the coasts of Florida, up through Georgia, and the Carolina, a teenage gentleman of the highway. In the four years that followed he saw service with the Marines, surviving consecutive combat tours in Viet Nam where he spent two years playing guitar, painting, writing poetry, and dodging rockets. Returning to civilian life, he earned a PhD in dramatic criticism, squeezing two seasons of summer stock in between terms, and finagled year of acting and directing in New York at the Harry Chapin Theatre. In 1975 Jenkins secured a professorship at San Jose State University, where he worked his way up through the ranks to become Chairman of the Department of Television, Film, Radio, and Drama. During his tour of academic duty, he freelanced as an actor, director, and playwright. He was twice-featured as a headliner at the National Storytelling Festival in Jonesboro, Tennessee, where he performed in circus tents for thousands of story lovers. Bob Jenkins has published stories, albums (Dangerous Nights and The Man Who Wanted Incredible Things), and magazine and journal articles about storytelling and theatre. His children’s plays, (Pinocchio, The Ghost Hour, and Puppets!) have been professionally produced at the Children’s Theatre Workshop and the Saratoga Chamber Theatre and toured throughout California by the Gallivanting Inspiration Group. 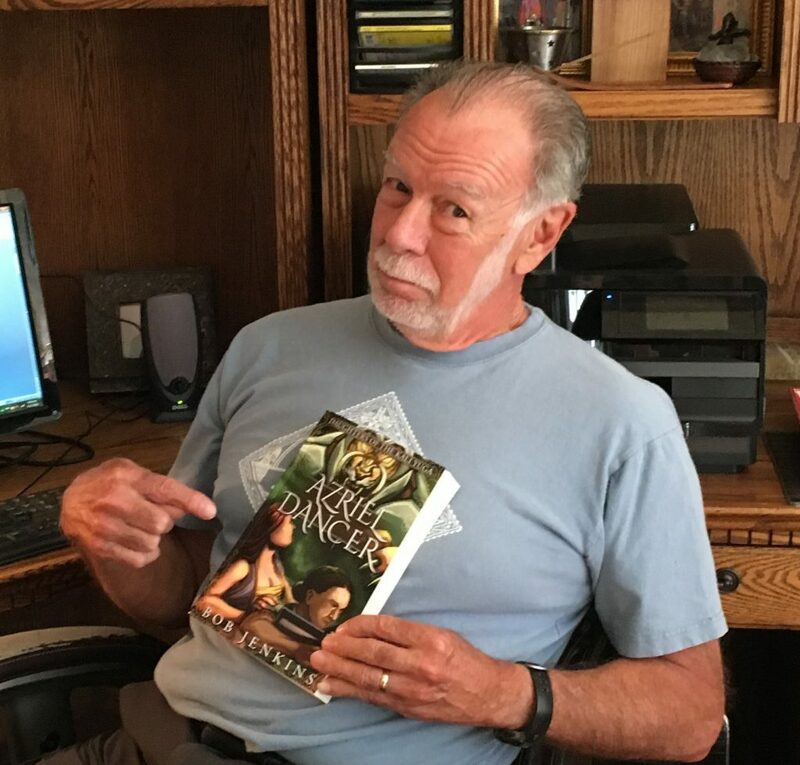 The four volumes of Daughters of the Kali Yuga begin and end in the Sierra Foothills of Northern California where Jenkins makes his home with wife Christine. Genre: Children’s fantasy, full-color illustrations, listening age 5 and up, reading age 9 and up. Diane Donovan’s review from Midwest Book Review.